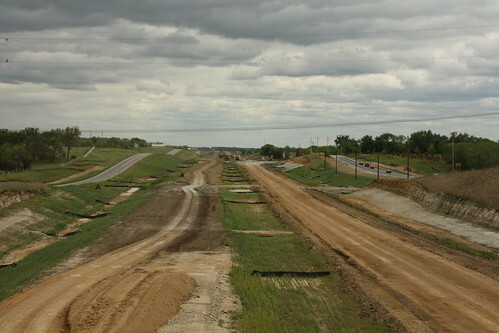 Here's a shot from the N 900 bridge over the new US 59 looking south. 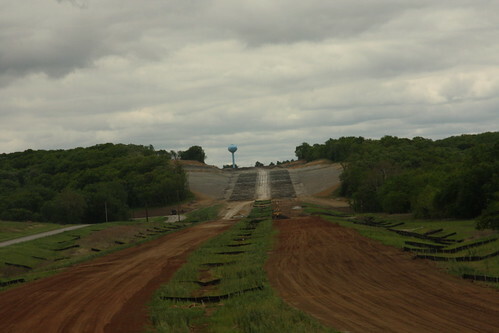 The cut in gray is being allowed time to settle before any paving begins. 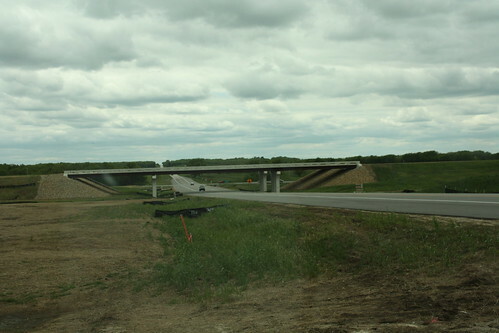 hered's a view looking north on the N 550 road bridge over the new US 59. 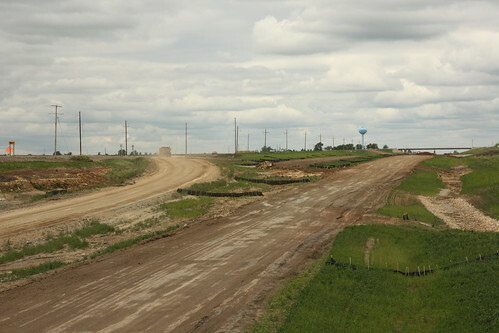 Right now, the grading for a temporary shoofly on the current US 59 is still in place. The shoo-fly was placed in the future southbound lanes. 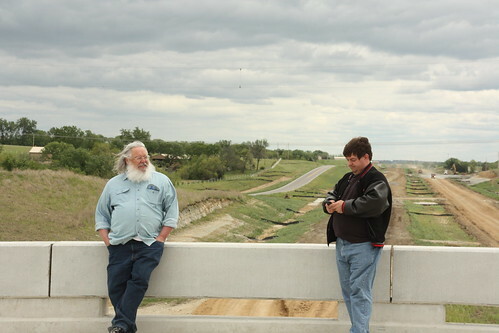 Brian Reynolds leans against the rail while Scott Nuzum takes care of a few texts.